← Two big hikes Google mapped! As I couldn’t agree more, I also took note of the titles of the ten hiking routes recommended, mapped and described by the two authors in the last and longest part of the edition. The photos of Peter Wan who contributed in the edition are stunning and you can see some in the webpage of the e-book, however to introduce these hikes I prefered to use photos either from our blogs or the ones taken in the course of time by the members of the Mountain Climbing and Hiking Club of Ikaria. Those people are, after all, the volunteers who explore and discover, design, walk and maintain the mentionned footpaths. The authors duly acknowledge their contribution and by the way, so am I on a more personal level. If not for them and their endless discoveries, perhaps my passion for Ikaria wouldn’t be so strong. Chalares River Canyon (Christos – Nas) walk. The Spanaioi Watermill with additional walk to a Reservoirs and the Monastery of Mounte. Pezi, Ryakas Waterfall and Selini pond walk. Ranti Forest Walk, Herbal and Cave Walk. Koskinas Castle and Mt. Atheras Cliff Walk. Mt. 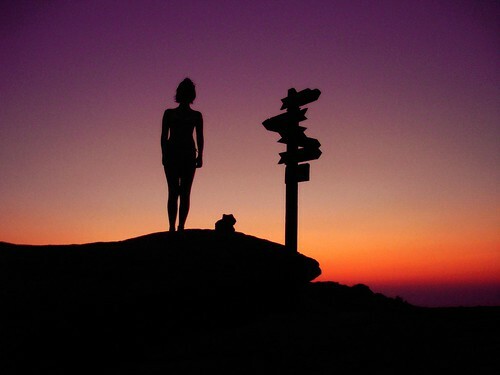 Atheras Ridgeline Hike (reaching Ikaria’s highest peak). Ikaria’s Western Edge, Remote Seaside Villages and «Kavo Papas» Lighthouse Walk. Ikaria’s Eastern Edge – Drakano Tower, Agios Georgios and the WWII Bunker Walk. Ikaria’s Eastern Edge – Agia Kyriaki Hot Spring / Iero Beach. Ksylosirtis (Papas) Watermill and Lefkada Hot Spring. but sometimes it’s also fine to meet one or two people! Do you think $11.95 (€10.32) is a good price? But never mind. It’s no use crying over spilt milk. Those times are over. We have to move on. It’s a good guidebook, though I also hope, like Elina, that the publishers make a donation to the OPS Ikarians. I just stumbled upon your blog looking for info about the island that Ive planned to visit for a long time now! Thanks for the links! I have decided to come there this summer, it will be a long way (I’m in the Caribbean), but definitely worth it (I love Greece and plan to move there one day too). Is there any way to directly contact you (havent found anything on the blog)? It would be great to meet you once I’m there! I would love to get to know somebody who knows the island and can tell me something about it. 1st step: Order the Guidebook. You may have appreciated my blog and I am thanking you very much for this but a guidebook, esp. this particular guidebook, is more solid and more objective guidance. 2nd step: If you are in facebook, my advice is to join the facebook group «Hikers of Ikaria» where you will be welcome by many of my friends who not only know Ikaria but they also live there all year long including summers and they organise a lot of activities. I am not in facebook but I will tell them about you so you won’t appear in the group like a complete stranger. I can assure you, they are great helpers! in the second part of my last entry. 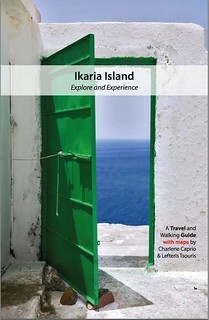 Finally a tip from me about Ikaria in the summer. 20% walking, 30% swimming in the waves, 30% dancing in the all night long village festivals, 20% exploring the land and the people you meet. It’s a rough but fascinating island very different from Greek stereotypes. I only found this group:https://www.facebook.com/groups/hikingIkaria/ hope it’s the one you mentioned. I already found some infos online, but first hand non-touristy stuff is always best! So excited to go there!